BEAUFORT, NC (WITN) - Jurors heard gruesome details this morning in the capital murder trial of a man accused of killing and then cutting up a Morehead City woman nearly two years ago. David Godwin could get the death penalty if convicted for the 2016 murder of Wendy Tamagne. Godwin's attorney, Buddy Connor, told jurors that this was not a case of who killed Wendy Tamagne, but why. His attorney says Godwin has been diagnosed with several disorders, including bipolar and Aspergers, while there is a history of psychosis and mental health. BEAUFORT, Carteret County � Prosecutors detailed a grisly scene Monday morning as a Newport man faces the death penalty in connection to a Morehead City woman's 2016 murder. 28-year-old David Godwin, of Newport, sat with his head down, staring at the table in front of him, as the prosecution read their opening statement. Godwin is standing trial for beating, strangling, stabbing and dismembering 37-year-old Wendy Tamagne on July 4, 2016. Tamagne was recently divorced at the time of her death and living at Country Club Apartments, which is where her dismembered body was found on July 5. Police said Tamagne and Godwin knew each other and this was not a random act, but Godwin's defense team states something different. �It�s a case about genetic mental conditions," defense lawyers said in their opening statement. Godwin was "born mentally damaged to parents who had mental disorders" -- moving to seven different homes before he was 9 months old and later being adopted by the Godwin family. Godwin's defense team stated Tamagne's murder was not premeditated or intentional, but rather the result of genetics, trauma in his early childhood, lifelong mental illnesses and a strong anti-depressant drug mixed with alcohol. Godwin and Tamagne were good friends and drinking buddies, defense lawyers said. According to people who knew the pair, Tamagne and Godwin were seen fighting at a bar a few days before her remains were discovered. The last night anyone but Godwin saw Tamagne alive was on July 3 at George's Bar in Morehead City. At that point in Godwin's life, his defense team said he was not working, not going to school, living at home and spending 20 hours a day on the internet. Over 30 people sat silent in the courtroom as both sides' statements were read; Godwin sinking further into his chair with each sentence spoken. Tamagne's mother, Jill, was the one who told authorities something was wrong. The mother and daughter spoke often and when Jill was getting no response, each unanswered text sparked a growing concern. Jill was among those in the courtroom Monday. On July 5, Jill asked for a welfare check. When officers arrived to check on Tamagne, they instead found a bloody knife and a smashed cell phone on a table in the living room. Upon further investigation, authorities found a blood-soaked bed and Tamagne�s dead cat in the trash can, covered by Tamagne�s now-empty wallet. Authorities then opened several trash bags and found Tamagne's remains. According to reports, Godwin's fingerprints were found all over the apartment and he was even seen buying a hacksaw at Lowe's on July 4 -- something Godwin admitted to doing through his defense lawyer. The causes of death were ruled repeated blunt force trauma to the head, manual strangulation and a deep stab wound to the torso. According to an autopsy report, it's likely that Tamagne was straddled and punched repeatedly in the head. No defensive wounds were found on her body. Several post-mortem wounds were found but NewsChannel 12 will not release details due to their explicit nature. At this point in the opening statement, a member of the defense's team was seen rubbing Godwin's back. Defense lawyers said Godwin struggled with mania and claims Godwin doesn�t remember much about the night Tamagne was killed, but �knew he must have done it." Godwin said he woke up naked around 9 a.m. and sensed something was wrong. �This is not a �Who done it?� This is a �Why did this happen?,�� Godwin's lawyer said. Defense lawyers say alcohol was a contributing factor, mixed with a bipolar condition, the night Tamagne was murdered. Prosecutors say after Godwin killed Tamagne, he drove her truck to Clayton, North Carolina, left the windows down, keys in the seat and walked 20 miles to a bus stop in Raleigh. Godwin bought a ticket under the name "Justin Mann," using the last name of Tamagne's boyfriend at the time. 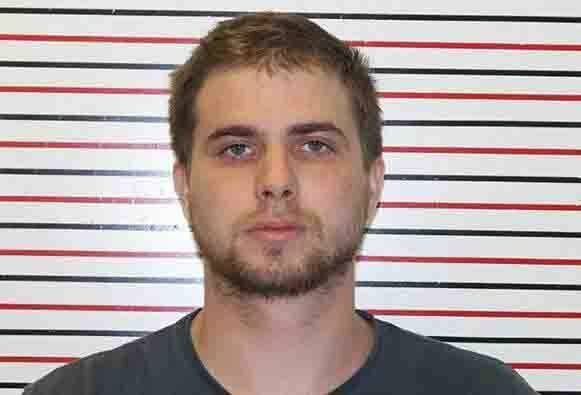 He dumped his cellphone and boarded a Greyhound bus to Oregon where he later turned himself in to authorities on July 8. When he eventually turned himself in, Godwin told them where to find the truck. When they found his cellphone, prosecutors say all previous searches had been erased but two: �first degree murder in North Carolina� and "death penalty in North Carolina." Godwin's trial is expected to last around two weeks. The first part of the trial will focus on whether or not the jury thinks he's guilty. The second part will focus on if he gets life in prison or the death penalty. BEAUFORT, Carteret County � Week 2 of the David Godwin murder trial started Monday as the prosecution questioned its last witness before Godwin's defense took over. Godwin is accused of murdering Wendy Tamagne and dismembering her body in 2016. The defense brought in its first witness Monday afternoon ... Godwin's adopted mother Linda Godwin. She asked to say a few words before questioning began and directly addressed Tamagne's family, saying she was sorry for their loss. She was immediately cut off by the judge and asked to refrain from anymore extraneous comments. Godwin spoke about the troubled upbringing her adopted son had. She and her husband adopted David when he was four after fostering him for a couple years, his biological parents unable to provide for him. Vance Godwin was arrested for indecent liberties with a minor. David Godwin faces the death penalty for murdering Tamagne and dismembering her body in 2016. The trial is expected to continue at least through this week. BEAUFORT, N.C. (WNCT) - Wednesday's morning capital murder trial of David Godwin starts with one less juror. The judge removed juror #1 from the case after it came to his attention the juror had violated a court order. Jurors are ordered to not speak with any parties, witnesses, attorneys. The juror was seen on camera shaking a witness' hand who was sitting outside on the side of the road Tuesday afternoon after the court hearing. The juror defended himself saying his actions were in his nature after being a firefighter for a few decades; he made sure the witness was okay. The judge removed the juror and was fined $100. The case continued with 14 jurors as they heard William James Carter's testimony. Carter worked with Carteret County Department of Social Services from May 1992 to August 1995. His responsibility was to prevent further abuse and neglect in a family household. Godwin, who was David Pratt at the time, made constant visits to social services. Carter testified of the neglect Godwin experienced while under the care of his biological mother, Debra Pratt. Records indicate Debra was frequently at parties, had mental health issues, did not provide daycare, was unemployed and did not maintain a supply of food for Godwin. Carter recalls a time when Godwin was found with fleas on his legs. Court documentation shows an investigation was made after Godwin reported he was touched inappropriately by Debra. It was found sexual abuse between Debra and Godwin to be "unsubstantiated". The defense's next witness will take the stand after lunch. BEAUFORT, NC (WITN) - A Carteret County jury has found David Godwin guilty of first degree murder in the gruesome death of a Morehead City woman. Jurors deliberated about 90 minutes this afternoon. Godwin has been standing trial for the July 4, 2016 killing of 37-year-old Wendy Tamagne. The woman's body was found in trash bags inside her Morehead City apartment. The Newport man was found guilty on all counts. Those included first degree murder with malice, premeditation, and deliberation; first degree felony murder by means of robbery with a dangerous weapon; first degree felony murder by means of common law robbery; first degree felony murder by means of felonious dismemberment or destroying of human remains; and first degree murder by lying in wait. Prosecutors will now ask the same jury to give Godwin the death penalty. The man's lawyers said the case was not about who killed the woman, but why. Several of their witnesses testified that Godwin suffered from mental health issues. A man accused of killing a Morehead City woman and then putting her body parts in trash bags did not take the witness stand in his capital murder trial. Today was the eighth and final day of testimony in the David Godwin trial in Beaufort. As his defense team wrapped up their case, Godwin told the judge he would not be testifying and that was solely his decision. Godwin could receive the death penalty if convicted in the July 4th, 2016 murder of Wendy Tamagne. The last witness was a Boston College professor, who interviewed Godwin for ten hours over two visits, as well as his family. Dr. Ann Burgess told jurors that in her expert opinion when the murder happened Godwin didn't have the mental capacity to form the specific intent to kill. Jurors in the case will hear closing arguments before they start deliberating guilt or innocence.